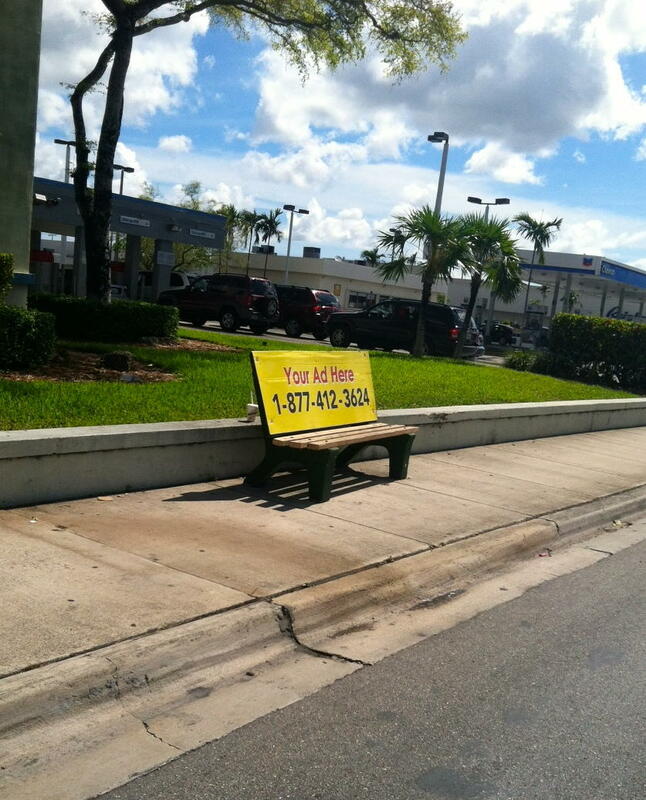 Not all bus stops have shelters like this one in unincorporated Miami-Dade County. 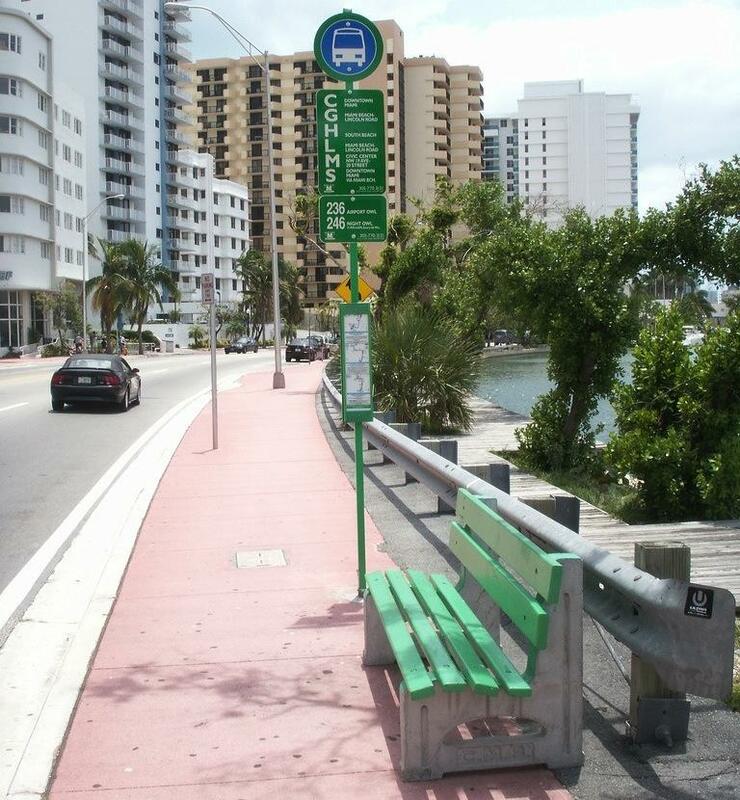 Walk me though what the process is for getting a bus shelter in Miami-Dade County. Bus shelters are placed at bus stops with the greatest amount of patrons. ... We require at least 100 boardings per day at the location. ... We place bus benches at all locations that do not have shelters. [It's] not so much of a resource issue. It’s really an issue of right-of-way. Now, the issue with not having shelters at all our locations is not so much of a resource issue. It’s really an issue of right-of-way. We need, because of ADA requirements [American with Disabilities Act]… at least four feet from the front of the sidewalk to the first appurtenant: a column or a roof on the shelter. So, the sidewalk area in many parts of the county are only six feet wide so we can’t physically put in a shelter and meet the requirements of ADA, i.e. a wheelchair going in front of the bus shelter. How does advertising [at the bus stops] play into the shelters? Does it fund the shelters? Yeah, the beauty of this program that we have with the bus shelter program it’s kind of like a public-private partnership. The county does not have to fund the operation and maintenance of the shelter. We leverage the advertisement potential that a shelter could bring in to fund the maintenance and placement of these shelters. They keep the advertising dollars, but they are responsible for replacing all the solar batteries, all the lighting and they have to maintain the shelters. They have to clean them weekly. They also have to do litter pick-up. A lot of the shelters, if not all of the shelters, have glass panels [and] they are constantly being vandalized. I think we get, like, 40 to 50 breaks per month. [The contractor] is responsible for coming in and replacing that glass panel. All these costs have been transferred directly to the contractors. Bus stops like this one can get very hot in the summer. 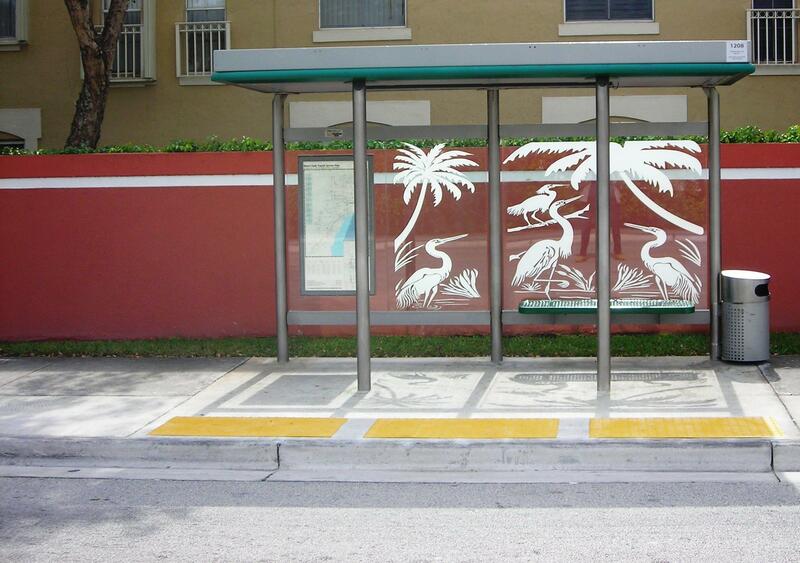 What would you like to see the future of bus stops being? There are art competitions being held all over the world to spiff up shelters. What does Miami have in store for them? One of the things we’re doing right now... is this concept of bus rapid transit, which is really limited stops, high-frequency service down corridors. … What we want to do is not just look at it as a bus stop and a shelter but we’re looking at it as a bus stop and a station. The shelter would be a robust shelter with a certain scheme, a certain color. They may have architectural features, and in fact that’s built into the request for proposals and the contracts that we’re putting on the streets so we’re going to have actually as part of the beautification of the shelter, an artist come in as part of the team that would have certain themes built into the shelter that would compliment not only the environment, but also the community. So there’s going to be a lot of public involvement with the design of these shelters and these shelters would have next-bus arrival information; possible level boarding where the platform where people wait are at the same elevation as the entrance to the bus in order to ease ingress and egress; information not only on next bus, but what’s going on with all the routes so anybody can see maybe connections. This is something we’re excited about and it’s something that is right now in the planning and design phases. It’s about to be the heat of the summer. Any recommendations for people waiting for the busses? *Real-time bus information is not yet available for all routes, but MDT hopes to roll that out within a year. Click here to listen to the conversation with Albert Hernandez. Ana Ponce posed the question ‘why don’t bus stops have a shelter?’ as part of our What’s The Story? project. We invite your questions and take you along on the journey to try and get some answers. You can submit your own question here. 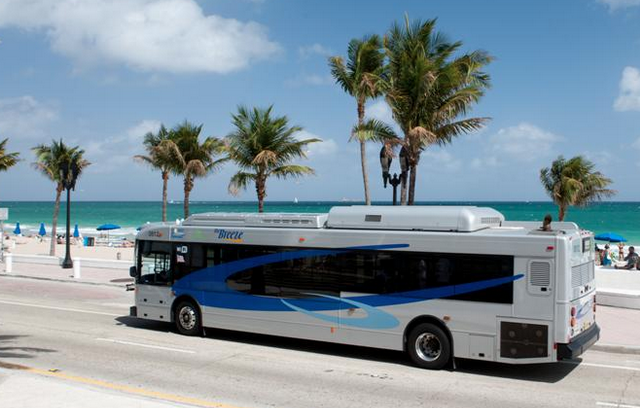 Broward transit began installing a $12.6-million bus-locating software on Monday. The application will help Broward residents who take the bus keep track of where their ride is. 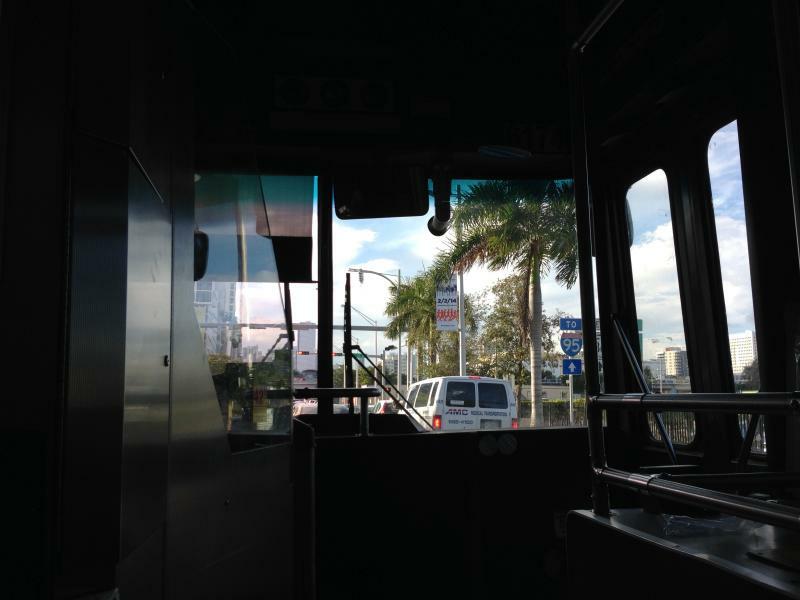 "The app will give them real-time schedule information so wherever they are; whether they’re at a bus stop or at home, or shopping," said Broward Transit spokeswoman Doris Williams. "They can put in the bus stop number and the application will let them see the real-time information of when their bus will arrive at the stop." We spend a lot of time together on the road, you (audience) and us (WLRN). 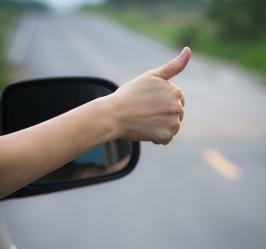 If you’re like most of our listeners, we’re with you in the car just about every day -- through your speakers, at least. But we want to take it to the next level: We want to actually get in the car with your family, your friends, your coworkers.